A lot of people are asking me what will happen if things go wrong. My response is usually “what specifically are you thinking about”. Answers vary but this post is about a couple of things that could go wrong that need pre-planned mitigation strategies. Getting lost, for most people, is a worry. If you cast your mind back to the passage from Galapagos to Marquesas, the Marquesas are not a big target in the context of a 3000 nautical mile passage. We plan to use a combination of GPS and paper charts to keep track of our position and progress. One of the hazards on the way is a potential area of thunderstorms as we cross the equator. What if the yacht gets struck by lightning? One of the probable consequences of a lightning strike is a varied set of electrical failures which could mean either no power to drive navigation instruments or damaged instruments. Either way, it is possible that the primary means of navigating and position checking could be lost. We could also lose the radio.The solution is to have spares. In my case, I carry a full GPS and set of charts on my i-Pad. If there is a storm, my i-Pad will be switched off and inside the oven. Any lightning would be conducted around the metal sides and give the i-Pad the best chance of survival. We could still be two weeks out from land so the plan needs to allow for the fact that the yacht’s systems might not be able to charge the i-Pad. That is taken care of by an external high capacity i-Pad battery kept fully charged but disconnected in the event of a thunderstorm. We really only need to check position once a day until close to land, so most of the time we sail a heading and adjust based on the GPS fix we get when the i-Pad is switched on briefly. The pessimists amongst us will be saying “OK maybe” but what will you do if Israel attacks Iran and the US switches off the GPS system, or if your previous little standby plan doesn’t work. Well there are two stages of mitigation for that one. If the i-Pad is still available, I have an app on there that helps me identify stars. 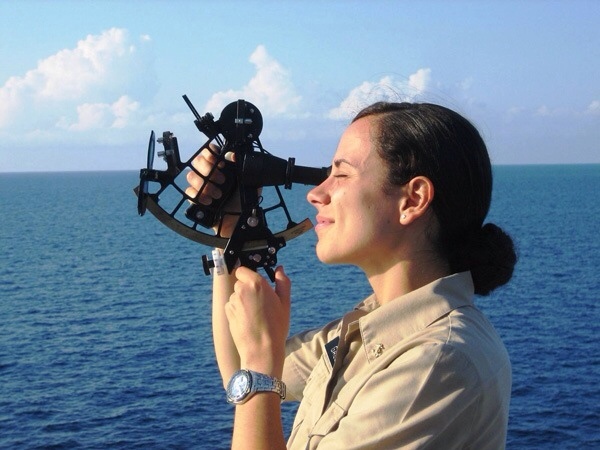 Using a sextant, which we have on board, we can measure the angle of elevation of the sun, moon and stars and if we do that and input the data to the app, it shows us where we are on the chart. It is slightly more complicated than that but you get the gist. It is not nearly so accurate as GPS but it would get us there. Even with no i-Pad, I have printed off a ‘how to’ idiots guide and we have the necessary tables of data on board in something called the Nautical Almanac. By following that method we could do it more from first principles. These are just some of the precautions and contingencies. A sage at the squash club over a beer last week told me that only 1% of people who set off to sail around the world actually complete the trip. That is a lower success rate than people who set out to climb mount Everest. I therefore, at this stage, take my hat off to the owners of the yacht, who have planned for many more contingencies than I can outline here, and who I am sure will successfully complete their odyssey. Great idea about putting your i-pad in the oven in the event of lightning. Good stuff Willie, I look forward to following your adventures. 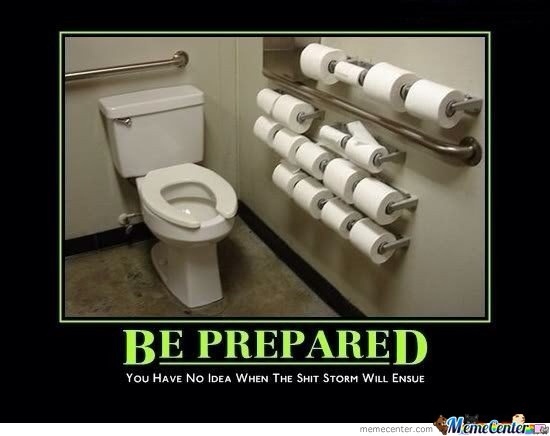 On being prepared, one thing has exercised my mind since 1991 on which you might like to ponder. On passage overnight from Le Havre area to Gosport with a progressively rising SW wind, mid Channel, after midnight, the roller headsail drum rotated but did not furl the headsail when we wanted to reef. We were becoming over canvassed, going fast with the wind on the port quarter, with nearby traffic in the shipping lanes. What do you do next? I should add that we would have liked to reef a shade earlier but the crew had just spent an hour untangling the genoa from where it was wrapped round the forestay having become tangled up when they altered hdg for a vessel but without adjusting the sheets. I was below taking down the shipping forecast when this added complication occurred. My serious question is to think through the roller reefing issues if you have this system. Fortunately I had an armourer on board who went forward with tools & jubilee clip, and fixed the furling system. If we hadn’t had this star on board maybe the best solution would have been to heave-to and take down the headsail. But this is not necessarily quick or easy at night on a rolling foredeck, so it may be worth having a look into this, perhaps if you have time to spare going along the Panama Canal. Have a great trip. Best wishes, Chris G-W.
Hi Chris. Thanks for the comments. Question for you with your instructor hat on. If a sail comes rated for winds up to 15 knts,does that mean real or apparent wind? We bust the halyard on a genneker rated for 15 ktd, sailing it on a close reach in 15 knts of true wind. Watch keeper perhaps should not have been on that point of sail as apparent wind would be around 20 kts. Hi Willie, only just seen your reply. Great blog which I have read all the way until your present big gap post Galapagos..
A sail is rated for apparent wind, ie. the wind it experiences flowing over it. It couldn’t be rated for True wind because as you know the Apparent wind being experienced by the sail will then depend on a variety of factors incl the way the yacht is being sailed, point of sail, a strong tidal stream (eg. up to 9kts in the Alderney Race at Springs), etc. But I know that you already know this! Above the rated app wind there is the obvious risk of stretch and tear. Good to read about poling out the genoa, so maybe our practice of this last Oct may have been helpful when you first did it for real. Interested in your comment on saving fresh water with the initial washing-up rince in sea water. Crossing Biscay a few years back we did all veg cooking and then washing up in sea water once well clear of the land. We had very tight rationing (drink as much as you like plus one cupfool pp per day for washing) because with 12 on board, no water maker, and having disovered 24 hrs out that the skipper had decided he didn’t like the look of the water in NW Spain so hadb’t topped up there (after 3.5 days sailing since S Portugal) it was challenging to have sufficient fresh water for the further 6.5 days from NW Spain to Gosport! I was First Mate & nav, doing celestial nav (although we had GPS). Are you there yet Will?